NEPALGUNJ, Dec 8: Minister for Irrigation Deepak Giri has urged all political parties to be responsible towards the people and the country. 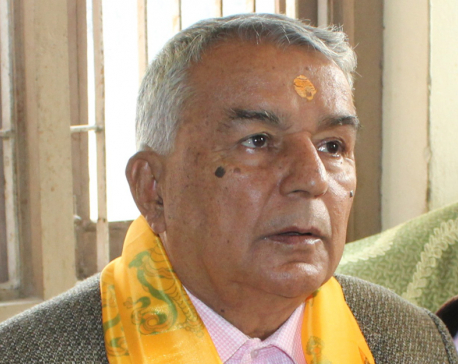 Speaking in a press meet organized by the Nepal Press Union Banke chapter today, Minister Giri said that some forces were misleading the people in the name of province demarcation, adding that the issues of demarcation does not affect the sovereignty and integrity of the nation. 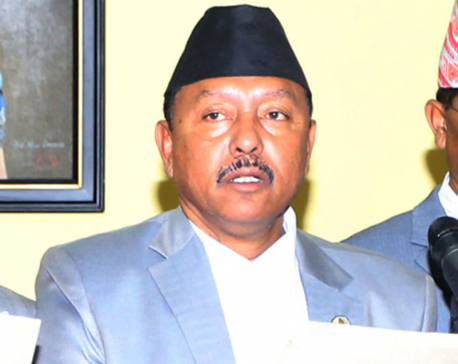 In another note, Minister Giri further said that the ongoing agitation in the name of province demarcation does not give an outlet to the crisis therefore parties should forge consensus on resolving issues. SANKHUWASABHA, Nov 3: Minister for Irrigation Deepak Giri today inspected the fire affected area at Madi Municipality-4 in the district.